From the off, I had high expectations for this one. Firstly, it’s Cartier. Say no more. Cartier, apart from being synonymous with elegantly fine watches and jewels, is the by-word for one of the classiest fragrances of the last 50 years, Must de Cartier, by parfumeur, Jean-Jaques Diener. As a flightly teenager in the 1980’s, I dreamed of the day when I thought I’d carry enough sophistication to wear this masterpiece. 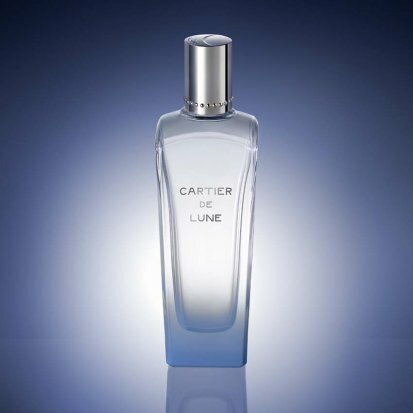 The new blood, Cartier de Lune (as it’s part of a new fragrance collection) hints at soft, silvery blue moon intrigue and romance but the bottle, though fetchingly dipped to affect a lilac-blue moonstone haze, is more modern than expected and, despite the bold statement fragrance name stamped on front, bears little resemblance to a world of glamour, mystery and intrigue. The scent itself is a paradox. I expected Cartier’s usual format – instinctive, graceful, classic. What we have is a fragrance created by parfumeur, Mathilde Laurent (pictured below) that allegedly is ‘a cloud of white flowers gathered at the edge of the night sky, dazzling with softness’ but in reality is much more bland and a stereotypical fresh scent that’s the archetypal ‘airport’ spritz one grabs at, on way to sunnier climes. I expect Cartier will do very well at airports where luxe and rushed purchases are de rigeur. There’s undoubtably a steely blue white coldness to the fragrance and feminine as the moon it may be, but this option is much more ‘Twilight’ youthfulness and bravado rather than grown up, raunchy and assured ‘True Blood’ in style. Quelle disappointment. On to Cartier’s other offerings. As part of the Heures de Parfum high perfumery collection, Cartier is launching a trio of new fragrances, beautifully packaged and idiosyncratic in their offerings and all bearing the Roman Numeral befitting them. Numbers, 4 (L’Heure Fougeuse), 7 (L’Heure Defendue) and 8 (L’Heure Diaphane) have lately been added, all with decidedly distinctive characteristics. L’Heure Fougeuse (No 4) feels like an ode to fresh rolling green or ferny landscapes at dawn or dusk. The coumarin and oak moss is undeniable. This is a holiday/country scent…one to take you where you want to be or remind you of where you’ve just come. Uplifting yet delicate and with magnolia, bergamot, vetiver and even a hint of horsehair, this fragrance travels well on male of female but travel it must. Or, it would mark you out in an urban setting. Which is usually no bad thing but this time, setting is everything. Regular readers of Chutzpah fragrance reviews will know I’m a sucker for faraway, exotic scents. I’m a pushover for patchouli and throw in sandalwood and I’m sold. However, unusually, and I mean really unusually, this turned me so far off, the dial was down to zero. 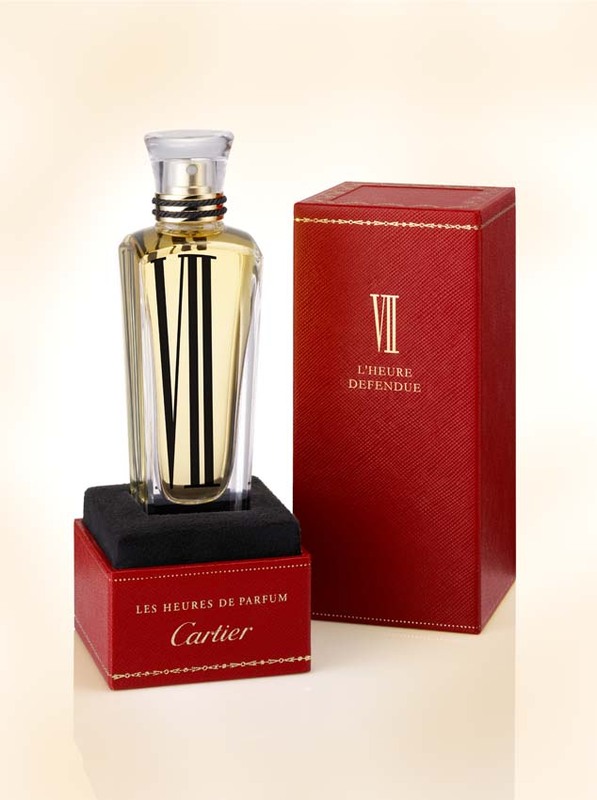 L’Heure Defendue (No7) hints of hotness and sultriness in its blend of patchouli, sandalwood, vanilla, musk, tolu and black cocoa but in reality, the tolu and cocoa far overrides and this smells of cocoa dusted, expensive chocolate truffles in crackly black paper. That’s not a criticism and No 7 will have its gourmand fans but for my taste, there’s not enough alcohol or bitterness to give it a sensual low-down kick. No hints of vodka, rum or champagne (added to the truffle) to excite means just plain gourmand sweetness. Too sickly by far. Now we come to L’Heure Diaphane (No 8) which is a diaphanous and sensual delight. Like a fine spray of calm and an easing of tension, this peony, rose and lychee blend has a silver thread of amber wood running throughout which binds it so it doesn’t fly away. This scent, finely sprayed, is like leaping into a deserted urban fountain in a Mediterranean city on sultry night or skinny dipping in a river on a hot day. The blast of diaphanous spray is light, floral and sheer enough to be sensuous. Have you tried out Cartier’s new additions to the range or are you inspired to do so? Please leave me a comment in the box below. Thank you.